Unofficial Windows 10 Cloud Build 15025 ISO image leaked online. As reported earlier, Microsoft is working on Windows 10 Cloud OS, which would only run Windows Store apps and no 32bit apps. References to Windows 10 Cloud first began to appear about a week ago in build 15019. Both Windows 8/10 apps from Windows Store are working fine on the Cloud OS. However, interestingly you can’t run Project Centennial apps, which are desktop apps that have been converted to UWP. Also, OneDrive and PowerShell is missing from the Windows 10 Cloud build 15025. There is no OneDrive integration with the File Explorer and the PowerShell scripts don’t work either. Apart from that, you will not find any difference between Windows Cloud and other Windows 10 editions. 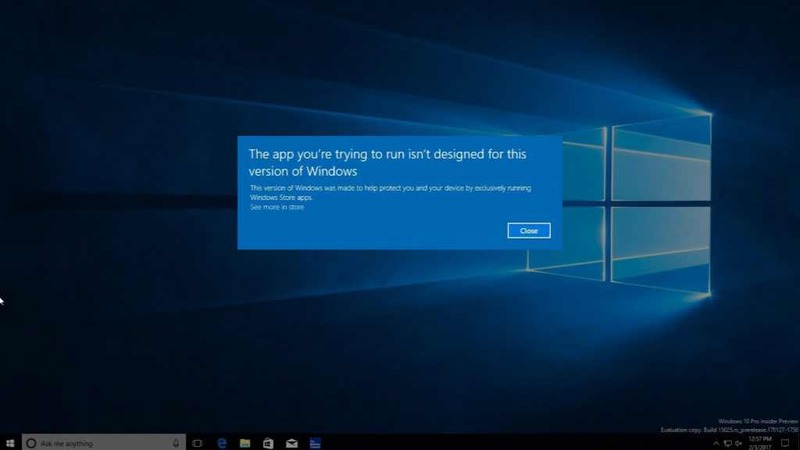 Windows 10 Cloud could be similar to Windows RT, which was failed as it ran on devices with ARM processors only. However, Windows 10 Cloud OS supports both ARM and Intel processors. Also, you’ll be able to upgrade from Windows 10 Cloud to other Windows 10 editions. Microsoft may license Windows 10 Cloud for free, and if the user wants a full Windows license, they can pay for it.